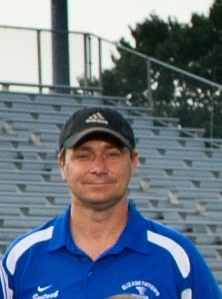 Head Coach James Sostack will be entering his 24th Varsity soccer season and has over 300 wins during his tenure. Leading the boys soccer program to 20 District III appearances, he is the longest serving soccer coach in the Lancaster Lebanon soccer league. Coach Sostack currently holds the NSCAA Advanced National Diploma and is the Vice President of the LL League Boys Coaches Association. Coach Sostack was honored in 2016 as Pennsylvania 4A Boys Soccer Coach of the Year. Coach Sostack’s goal for his players is that they represent the core values taught in the program and continue the passion to play well beyond their high school years. Coach Sostack instructs AP Government and Politics, AP Macroeconomics and 12th grade Government and Economics. He has won seven ” We the People” Pennsylvania State Championship titles in the past eight years in Constitutional Law and is the State Director for Representative Democracy in America. Outside the classroom, he has passion for skiing (ski club advisor), mountain biking, traveling the world with his wife Julie, and supporting his local home town “football” team Ipswich Town and his London favorite Chelsea. Coach Dzananovic will be serving his 1st season as the coach for the Junior Varsity team. He has been playing soccer since the age of 6. During Coach Eldar’s playing career he has had the honor of playing for the Bosnia and Herzegovina U19 and U21 Junior National teams. Additionally he has played internationally in Germany and Croatia for various professional clubs. About 5 years ago he moved to America and began to coach soccer, with the help of CoachUp, mainly on a one-on-one basis. Aside from playing and coaching soccer, his primary passion is for his family, wife, and daughter. Coach David Lancaster served for four years as the Head Coach for the Jr. High Program. Coach Lancaster will be coaching his first season as the goalkeeping and varsity assistant coach. He is a 1997 graduate from Etown High School earning varsity letters for soccer in 10th, 11th, and 12th grade as the starting goalkeeper. He had the privilege of being coached by Coach Sostack in junior high as well as high school. He currently still plays in many men’s leagues in the area. When he is not playing soccer, Coach Lancaster enjoys time with his wife and son. Coach Danny Tierney will be serving his 1st season as varsity assistant coach. Being an Etown native, Coach Tierney earned three varsity letters and was named a Lancaster Lebanon All Star for the Bears before continuing his career at Lycoming College. While at Lycoming College, he was a three year starter in the midfield for the Warriors and served as captain for two of those years. During Coach Tierney’s four years, the Warriors won two MAC Championships and contended in the NCAA tournament twice. Having graduated from Lycoming in the spring of 2018, he has began working at Donegal Insurance. In his free time, Coach Tierney enjoys spending time outdoors with his family and friends. Coach Funck will be entering his 1st season as Jr. High Head Coach after third years as coach for the 7th/8th grade team. He is no stranger to Etown soccer, as a 2012 graduate from EAHS, Coach Funck earned four Varsity letters as a player and was recognized as an Lancaster Lebanon All Star for 3 years. Having played at the highest club level with Classics, Coach Funck brings a passion and desire to coaching. Mr. Funck owns his own business, JF Construction, specializing in masonry after attending Thaddeus Stevens College where he won several awards as a Phi Theta Kappa honor student. Coach Gino Guevara is a New York native. His love for soccer began at the age of 5. In 1990 he played for youth Pumas soccer club and was sent to Mexico where he played for Puebla Soccer Club Reserves. After 1 year he was sent to Spain where he gained experience and skill in playing soccer as well coaching the game. He also played for Sevilla Youth Soccer Club for few years in addition to Real Madrid reserves. He unfortunately sustained a knee injury and returned home. In 1998, Coach Guevara attempted to play again while in college; however, he decided to travel with the Colts soccer team. With this opportunity he was also able to gain experience as a coaching assistant. In 2005 he moved to Pennsylvania to assist in a family business. After moving to Pennsylvania he coach in the youth scranton league and was able to use his love of soccer and previous playing experience to coach Bishop Hanna Soccer team in Scranton, PA. He and his family relocated to the York area where Coach Guevara had the opportunity to coach another local team, Eastern York High School. He was able to coach this team for 2 years and help his young players improve in fundamentals and share his love for the game. In his free time he enjoys golfing, spending time with family, friends and his 3 dogs.